How to prepare the car for winter? In winter weather conditions the driving needs more concentration and calmness. The winter is a hard period not only for drivers, but also for cars, especially because many drivers don’t take enough time to make their car for winter. If you would like to avoid costly repair, do some things for the car. Not to mention that these steps increases safety too! Does the 30,000-kilometer oil change approach? If so, do not delay. Use an oil that has the appropriate viscosity and thickness for the winter months. If the oil is too thick, the oil flows too slowly to the parts and the engine becomes hot. Oil tends to thicken when the weather gets colder, but this problem you can overcome by filling the engine with lower viscosity oil. When did you change the wiper blades last time? Usually, they can be used effectively for a year, so make sure that if it is due, get new ones. Another important step to be taken before you find yourselves in a big storm: fill up the windscreen washer with (winter) windscreen washer (water will not be good in winter because it freezes). Also check that the heating and cooling system is working, as this way you can keep the windscreen clean. Make sure the battery terminals and connectors are corrosion-free and get enough water. If necessary, fill up with distilled water. At extremely cold temperatures, the chemical reactions in the battery are slowing down, in 5 degrees a fully charged lead acid battery has only nominal capacity. In addition, in cold weather, the engine requires more power from the battery to get started. If the battery is over 3 years old, you should consider the replacing. There is not much chance that you will find someone in the middle of a snowstorm who helps to start your car, rather avoid this scenario. Belts and hoses are usually inspected during the 30,000-km service. Make sure they are not worn, cold weather can have a negative impact on them, so they deserve attention. The antifreeze protects the engine from freezing in cold weather, as well as from overheating in warm weather and corrosion. It is important to have an equal part antifreeze and water in the cooling system – the 50:50 ratio is the norm. This prevents the mixture from freezing even in very cold weather. It is easy to check the state of the mixture with an antifreeze tester that can be obtained from any car parts store. If you do not pay attention to the composition and amount of antifreeze mixture, the coolant can easily freeze and the engine may be extremely hot. Tires should be properly blown to ensure the best adhesion while driving – and this is often endangered by wet, snowy, icy conditions. The pressure probably dropped as the weather became colder, so it is important to check it. Lowered tires lock the tread and thus significantly reduce adhesion while increasing the likelihood of slipping on the ice road. At most petrol stations you can easily check the tire pressure without any cost. Have a four wheel drive car? If so, check the state of the four-wheel drive system and make sure it works properly – especially because most drivers do not use this system during the hot summer months. If it works well, it can improve tire adhesion in snow and ice and reduce the risk of snagging. But do not forget that the fact that there is a 4WD system in the car does not mean that you can make different figures in an icy car park or go faster than a smooth car. The four-wheel drive will not stick well in case of sudden braking. 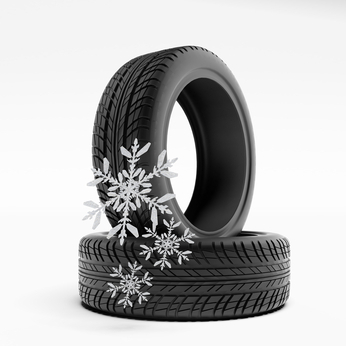 If you are living in an area where winter is cold and snowy, replace the tire with winter tires. Winter tires are made of a softer blend that allows them to be more flexible even in the coldest. They have a tread pattern that is specifically designed to adhere well in snow and ice. But do not expect a miracle – winter tires does not completely overcome the chances of slipping but gives more grip. The simplest thing you can do in the cold weather is to keep some basic equipment in the car. You can store these things in the trunk during the winter months, especially when planning a longer trip. Do not leave the car unless you are sure where you are and how far away the help is. Lighten up the car if you know, the others will notice it. Use blankets and clothes. If there is enough fuel, start the engine and the heating for 10 minutes in every hour. 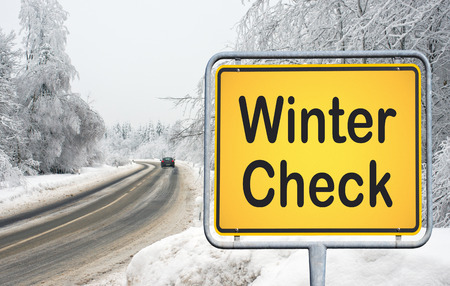 Check the brake fluid and if necessary fill up to make the brakes ready for winter conditions. If you are frequently braked, the brake pads will be worn out and you have to replace them. When the windscreen starts humid it is because the moisture inside the car is condensing on the glass. The steam coming from the open window – or even from your own breathing – can humidify the window. Antifreezes solve this problem by blowing hot, dry air on the glass. If you are sure that the system is working properly but there is still too much steam, check the car for leaks around the doors and windows. It is important to be pleasantly warm while driving, because vomiting makes difficult to watch the road. If the heater does not work, the heating coil may be defective. Have you ever had to refuel at the last moment? Although this is never a good lap, because there is a risk of getting stuck somewhere, but a nearly empty tank can cause much more trouble in winter. Cold temperatures can cause condensation in the tank wall, and the water runs down into the tank, sinking in the bottom – as the water is heavier than gas – and when this water enters the fuel lines, it can freeze and block gasoline to get efficiently to the engine. If you follow these tips, you can avoid serious problems and be prepared for winter.